Holly has been trying to get back into shape as her workouts have not been consistent while traveling. 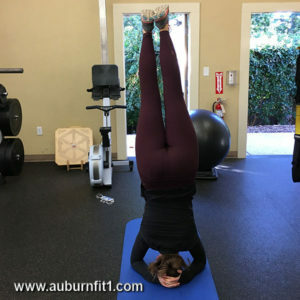 She likes to attend the HIIT workouts, sprint intervals and a few miles on the treadmill, then finish with stretching and a headstand. In the past, Holly has trained for Tough Mudder, half marathons, and competitive volleyball. She is currently training for the ‘Mountains 2 Beach’ full marathon in May, 2017, (that her ultra-runner, 4-time- western-states-completing Dad signed her up for without asking :P) so she will be spending a lot more time on the treadmill and running trails. Holly grew up in Auburn, then moved to Monterey to complete her B.A. in liberal studies with a minor in health and wellness at CSU Monterey Bay. After graduating, she had the opportunity to travel for a couple of years, before starting her graduate program with CalStateTEACH (which she is currently completing.) Holly had the opportunity to backpack through Thailand, teach English in Vietnam, work as a teacher for the blind and visually impaired in Vermont, spending her summers working at lodges in Alaska, backpack both Western and Eastern Canada, Mexico, and Nicaragua. Her travels are now on hold as she is doing her student teaching at Skyridge Elementary here in Auburn. Holly has stated she has appreciated Fit1, especially Jamie, being so flexible with her membership during travels and school. She loves how clean Fit1 is – it always feels so inviting and welcoming, and all the members are so friendly. One of her favorite things about Fit1 is the amount of windows & brightness of the facility, unlike a lot of dark gyms she has been to in the past. 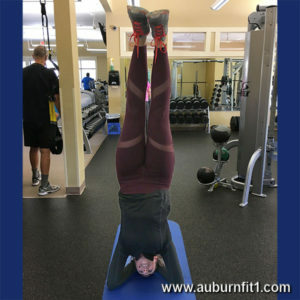 In her [limited] free-time she enjoys hiking, camping, traveling, backpacking, art, yoga, and trying new workouts at Auburn Fit1!